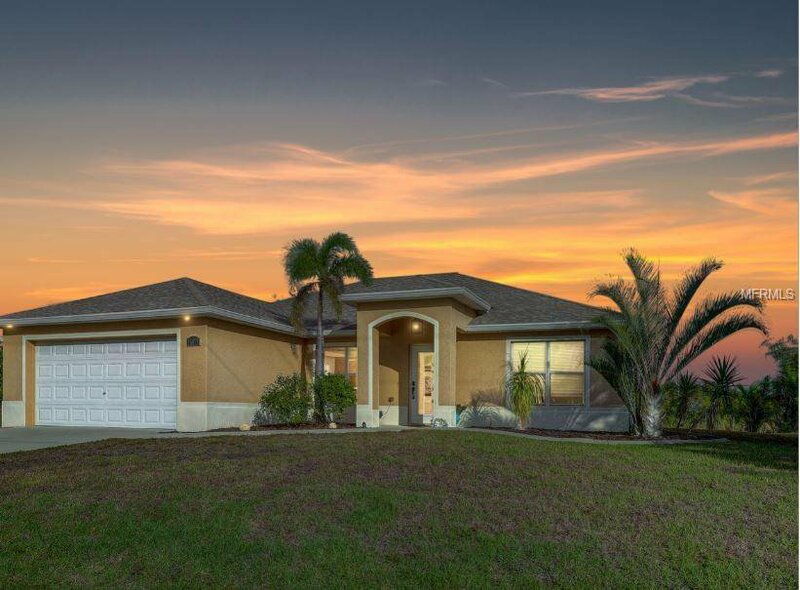 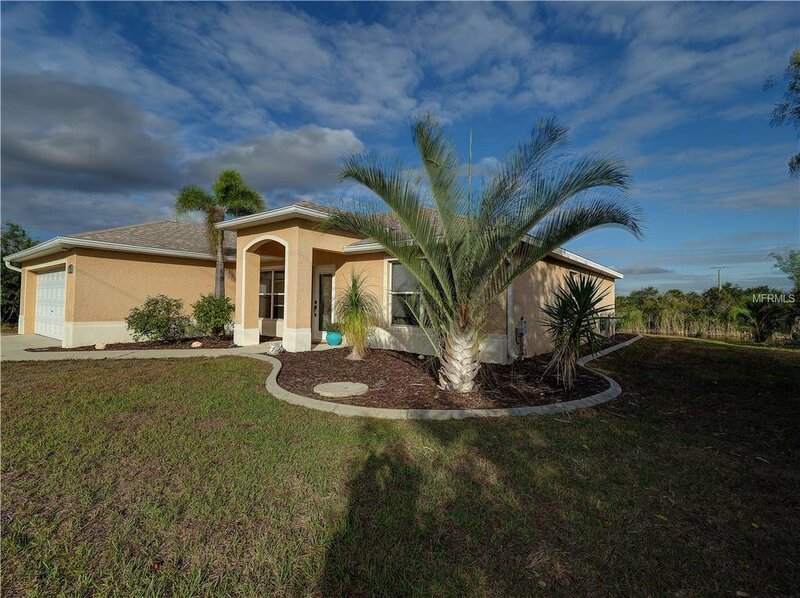 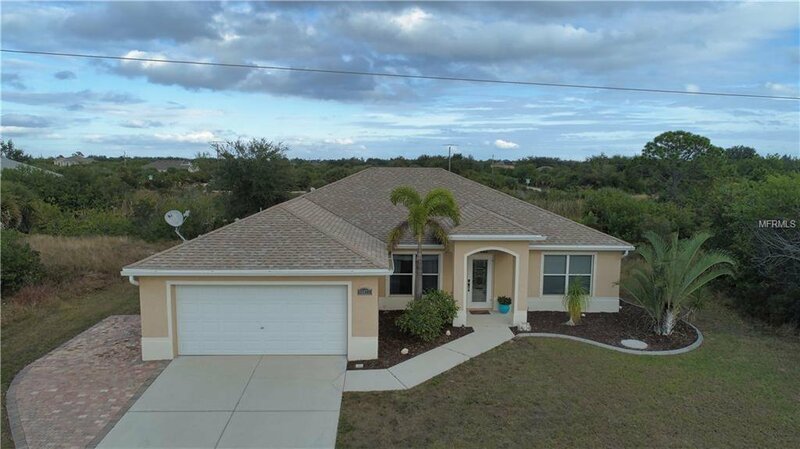 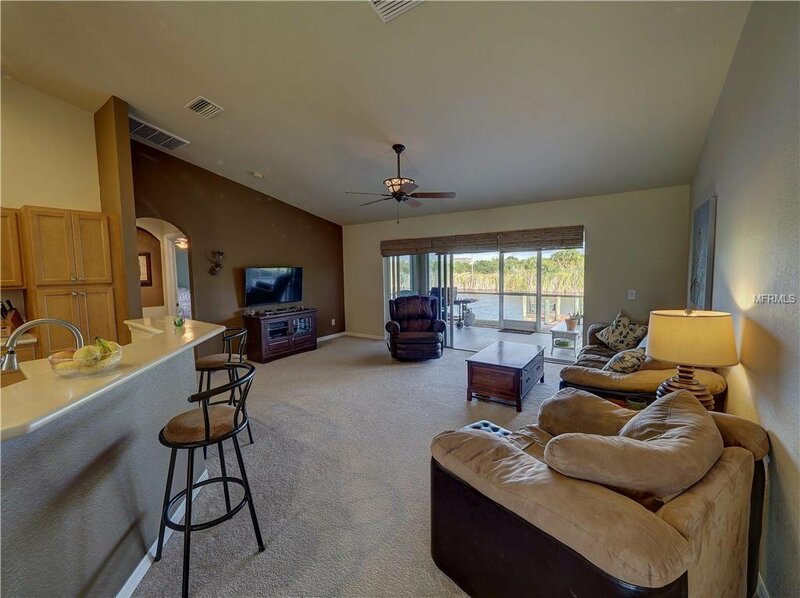 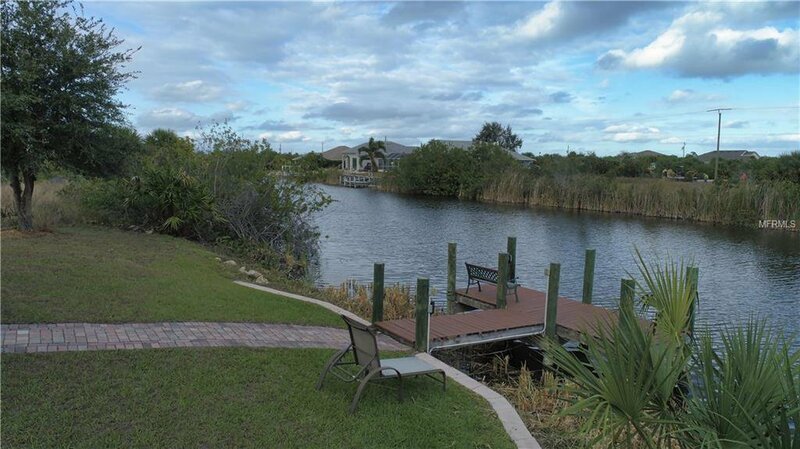 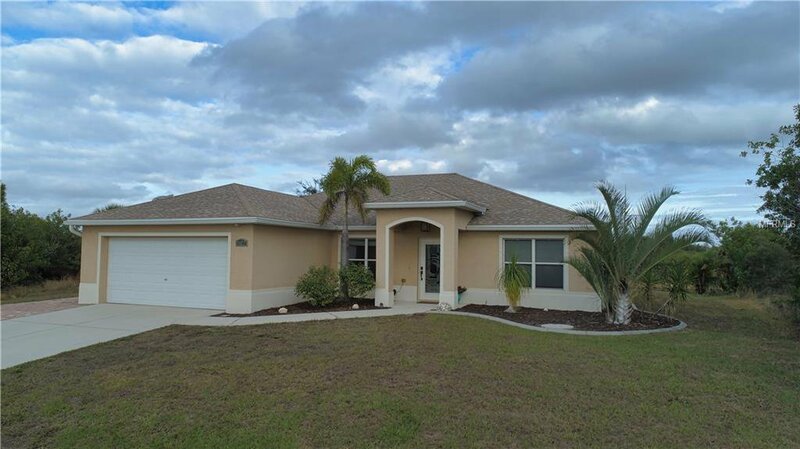 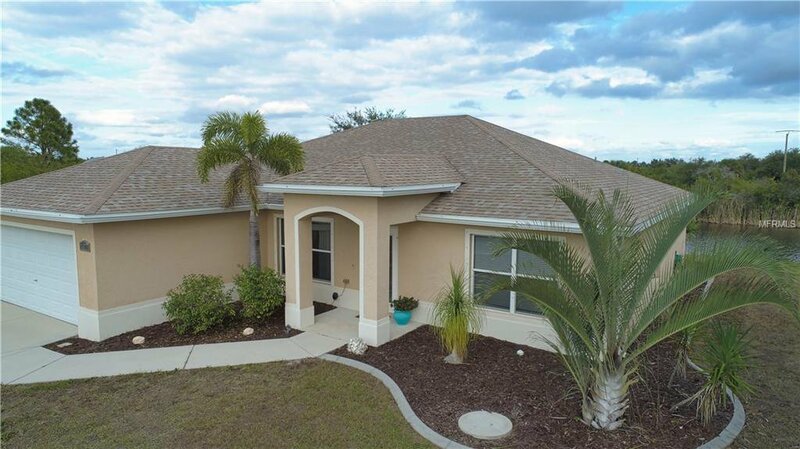 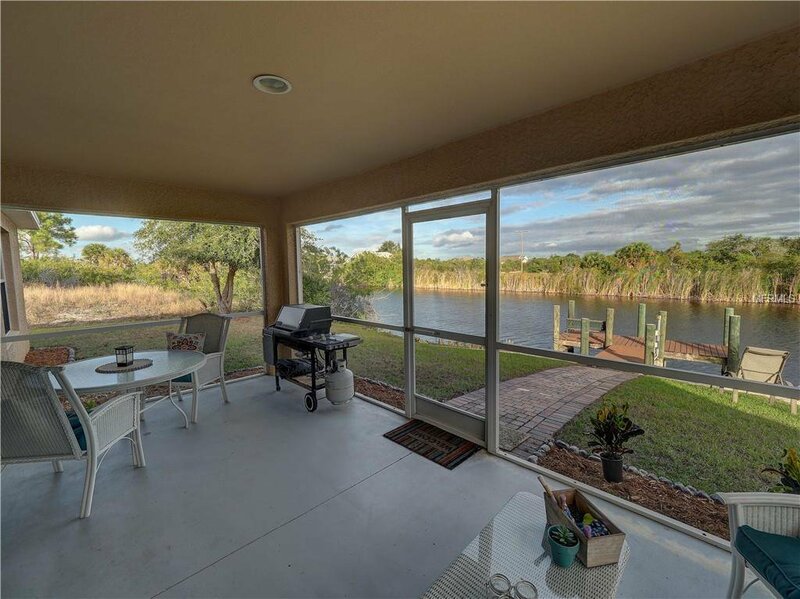 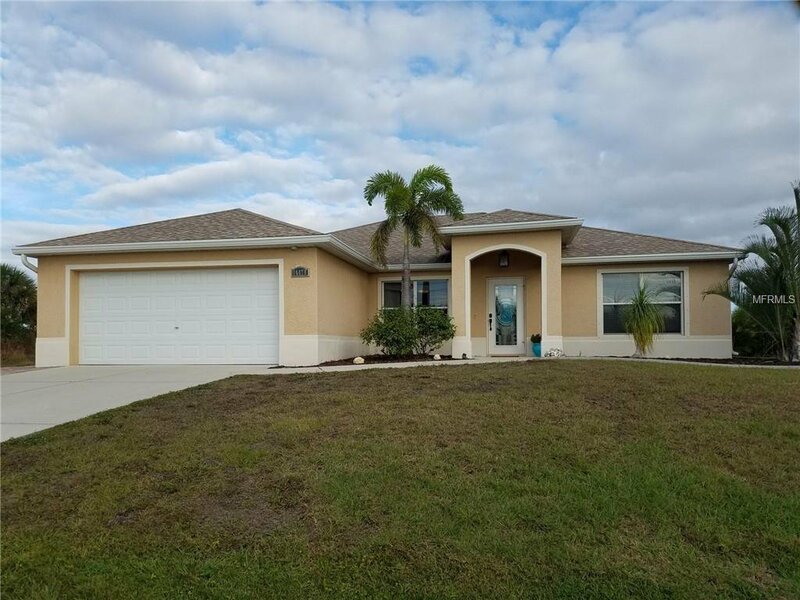 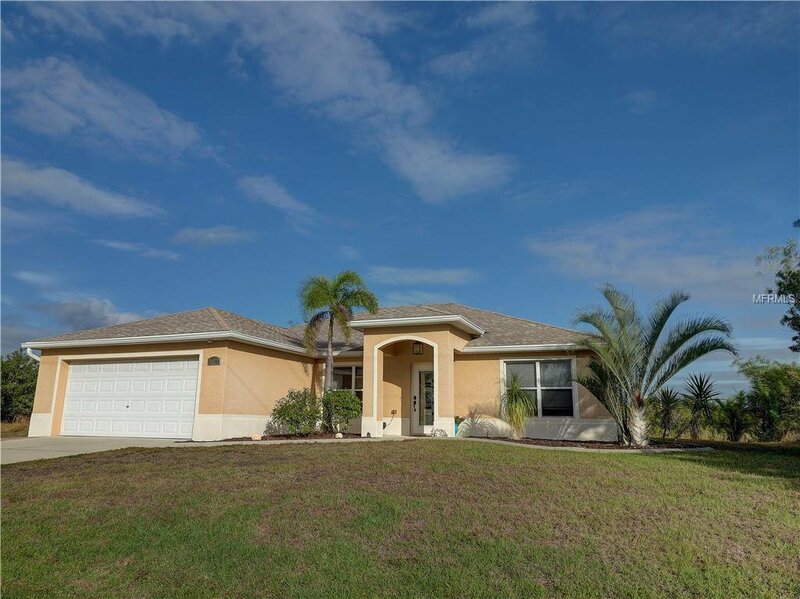 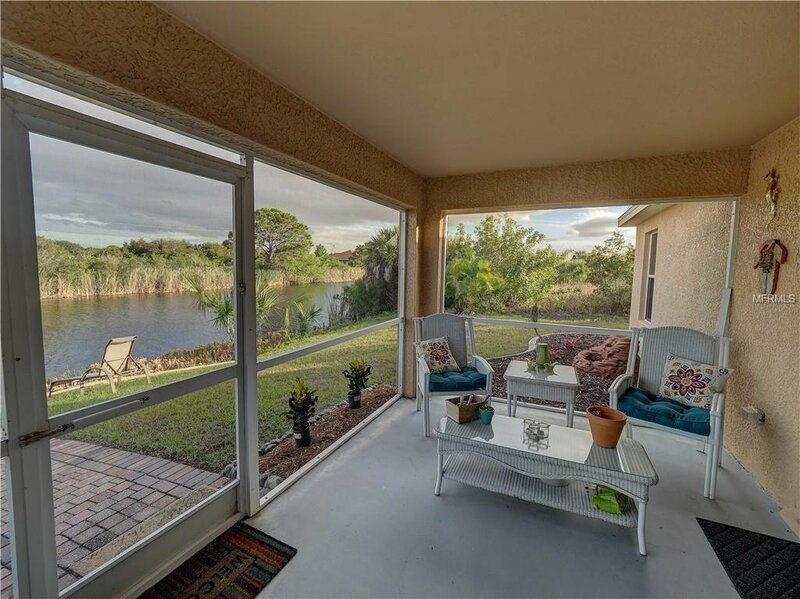 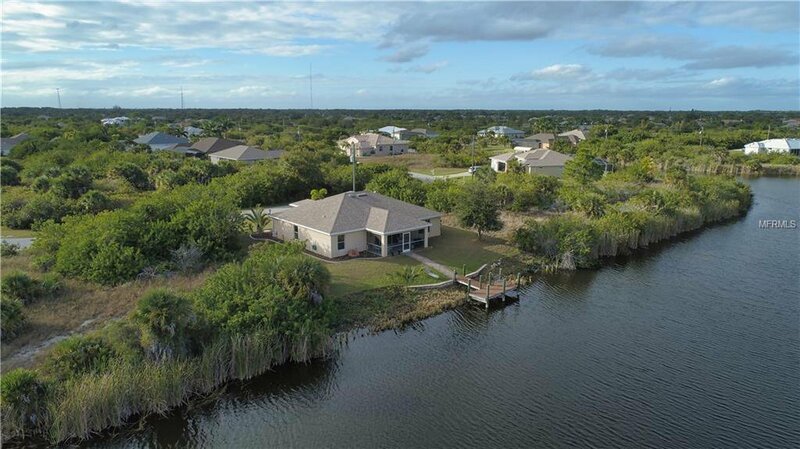 Enjoy Florida living in this classic 4 bedroom waterfront home designed with openness in mind. 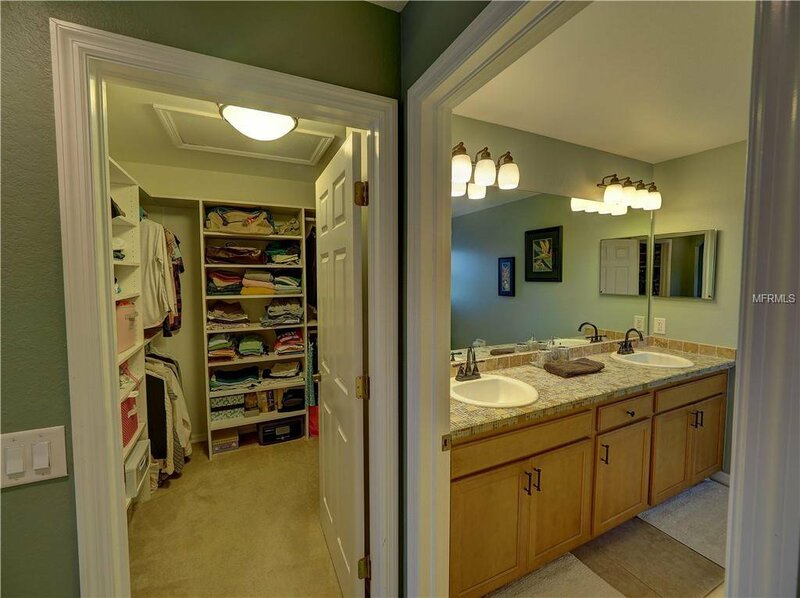 Internal layout encourages comfort and intermingling of the outdoor and indoor environments. 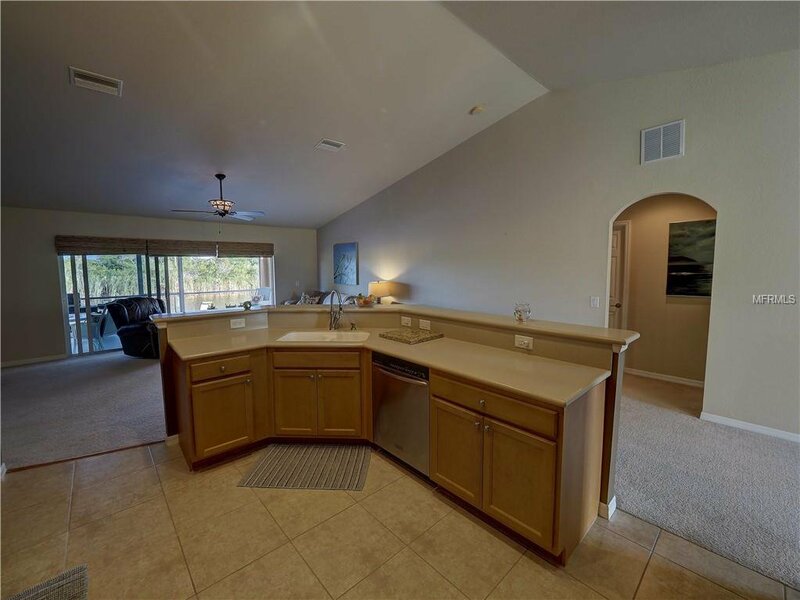 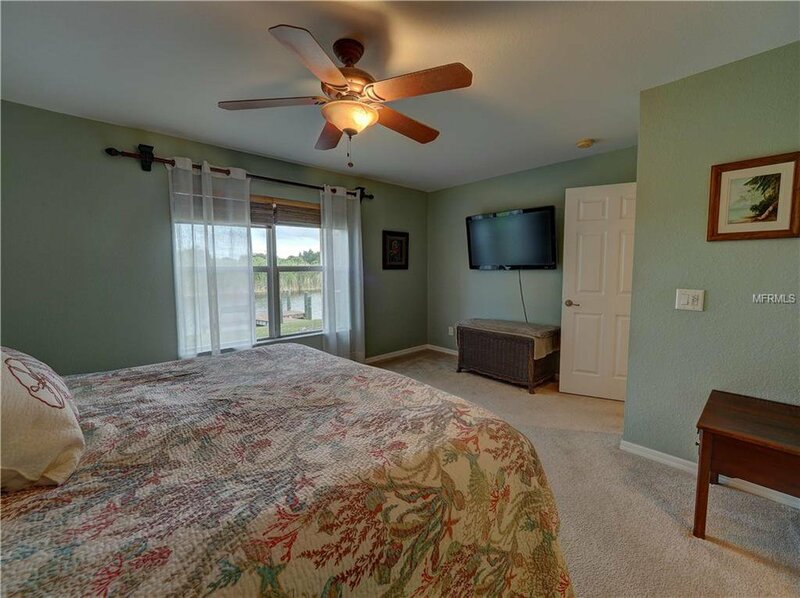 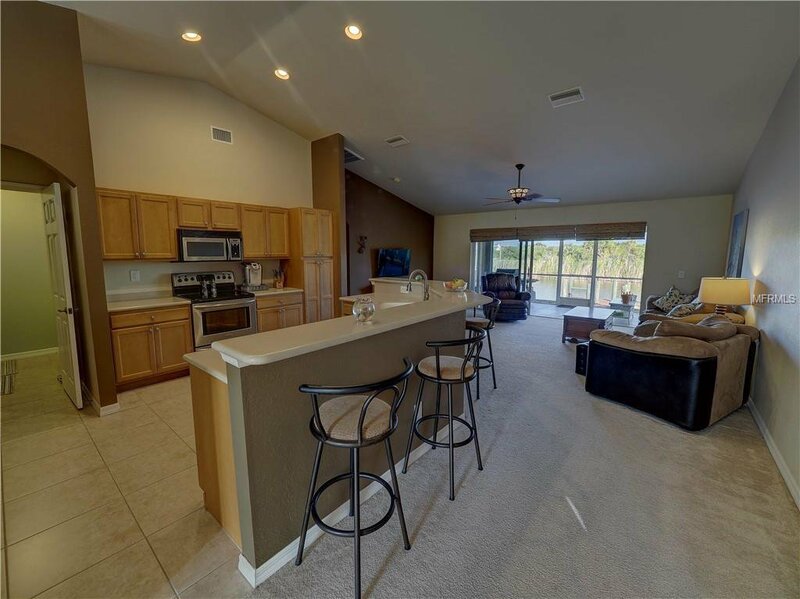 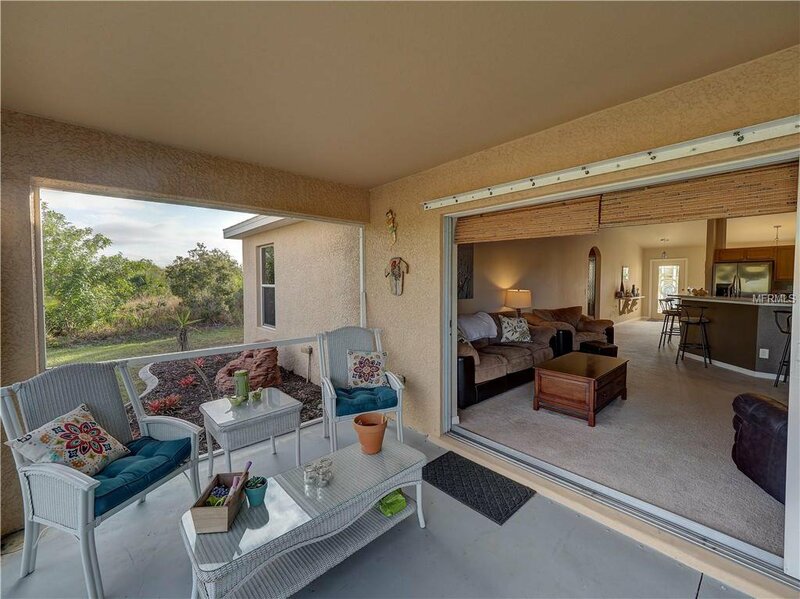 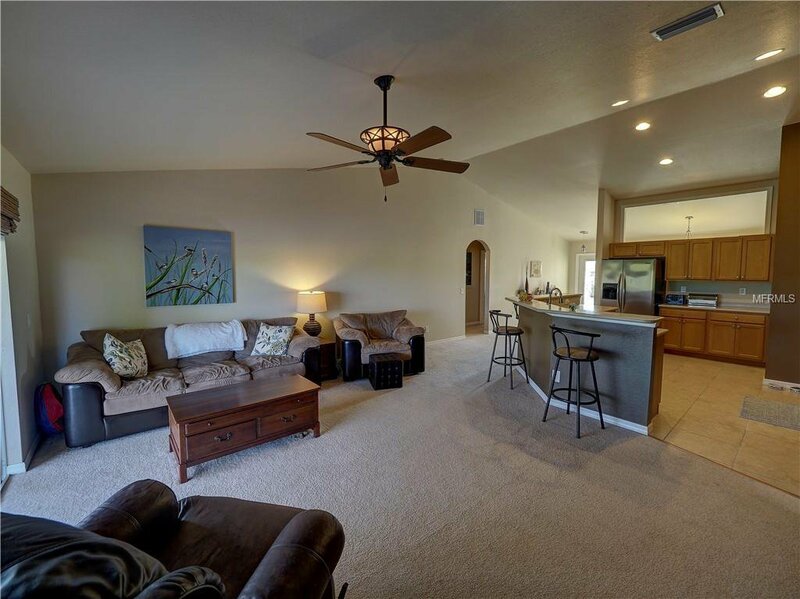 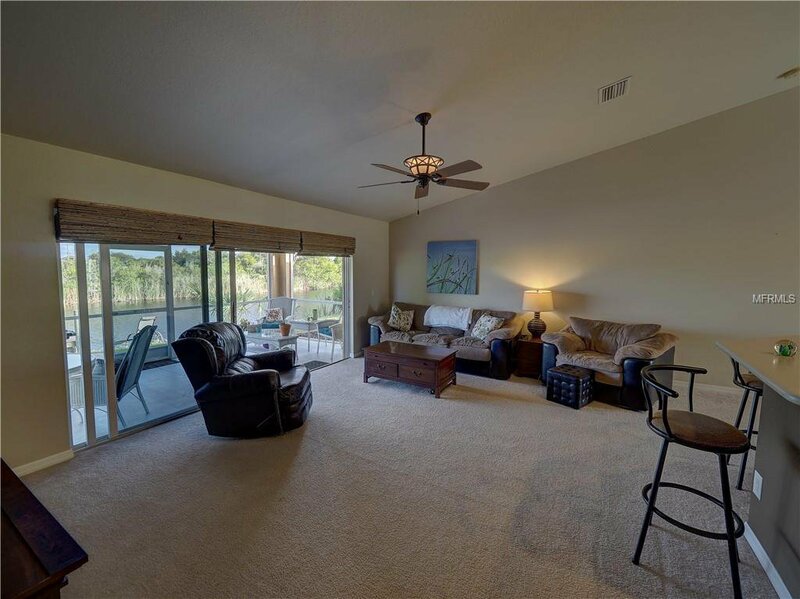 Centrally located family room and kitchen are under vaulted ceiling and blend easily to the open space of the lanai for casual entertaining and enjoyment of nature's offerings of fauna and flora. 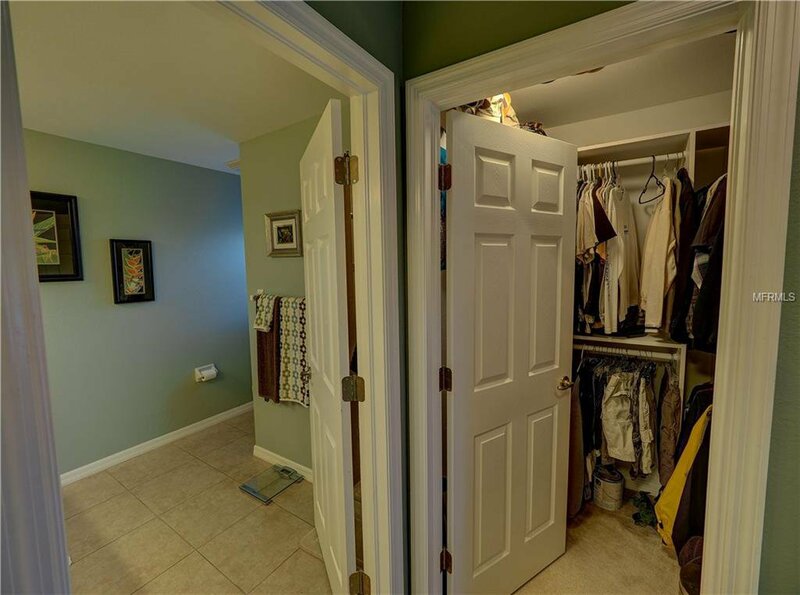 Split bedroom plan offers three guest bedrooms with closets designed for optimum storage and full bath off a corridor for your guests or family member's privacy. 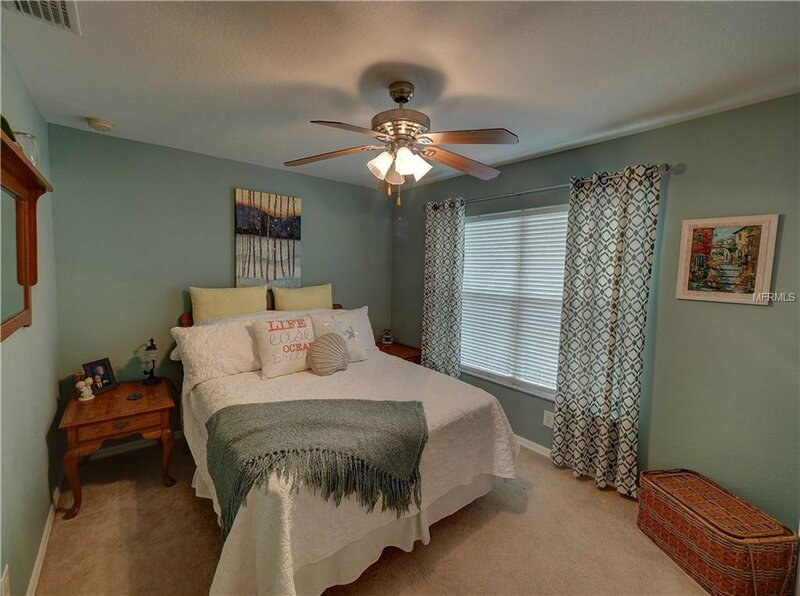 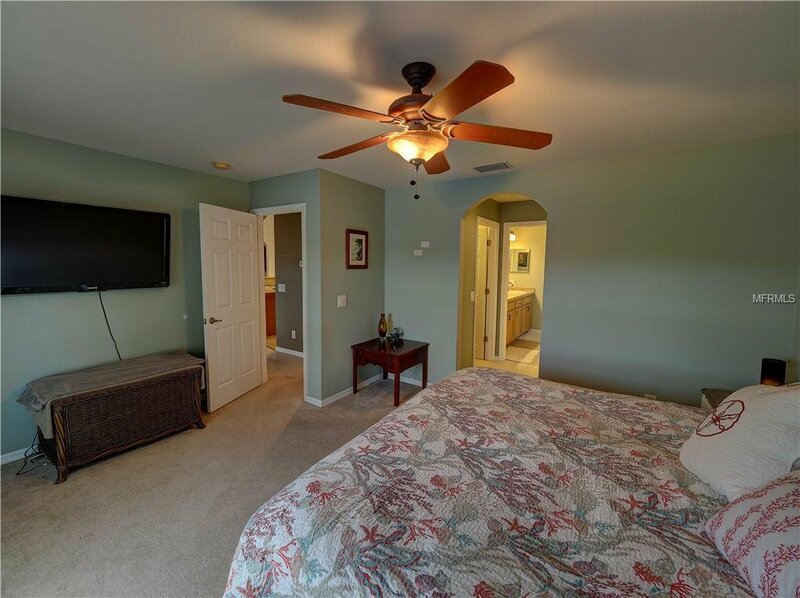 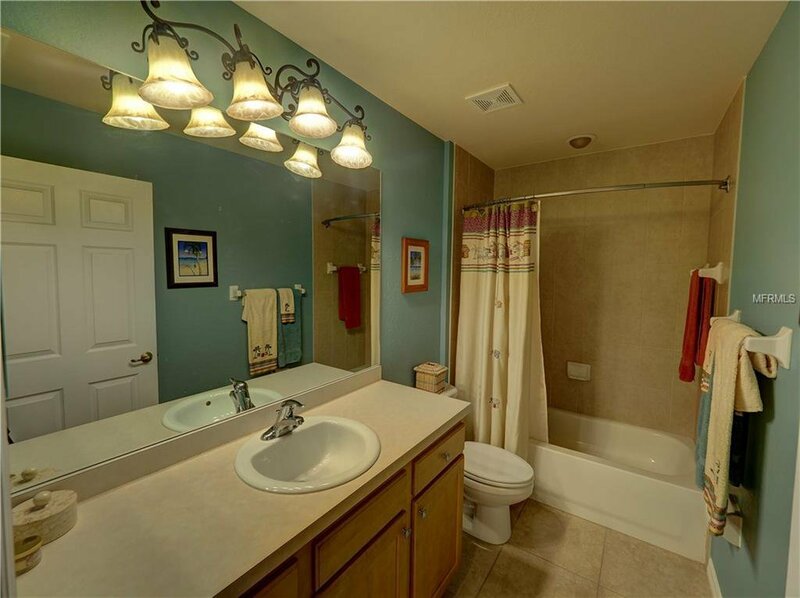 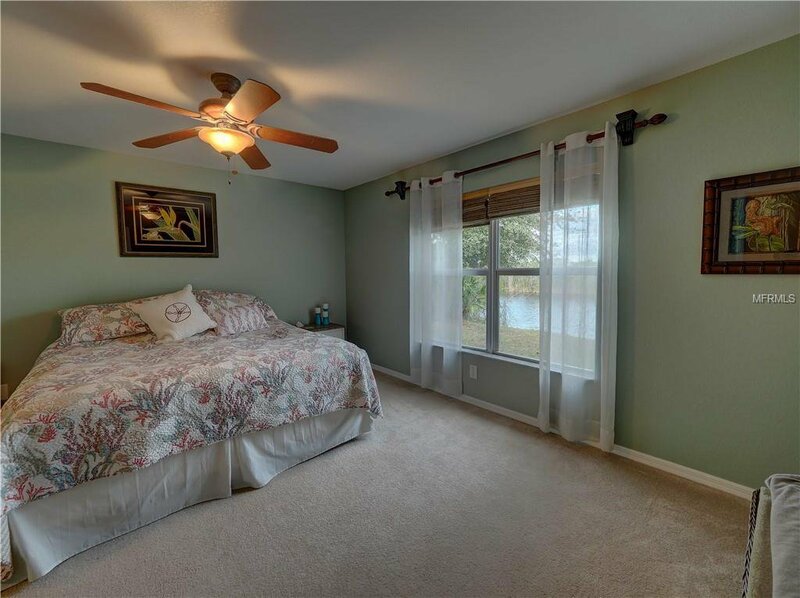 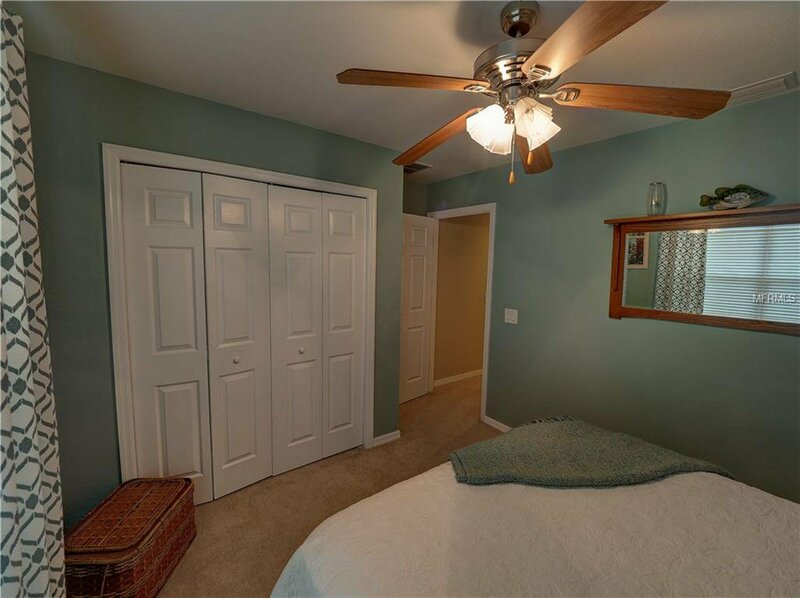 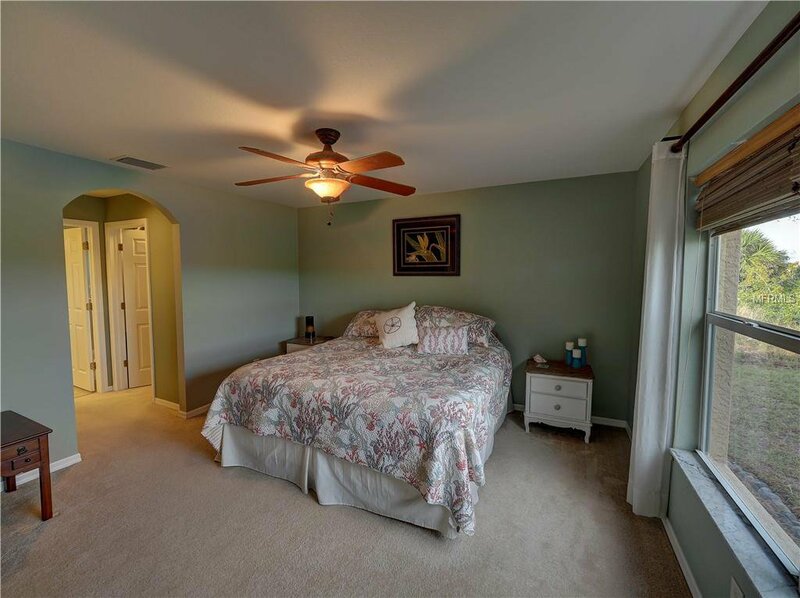 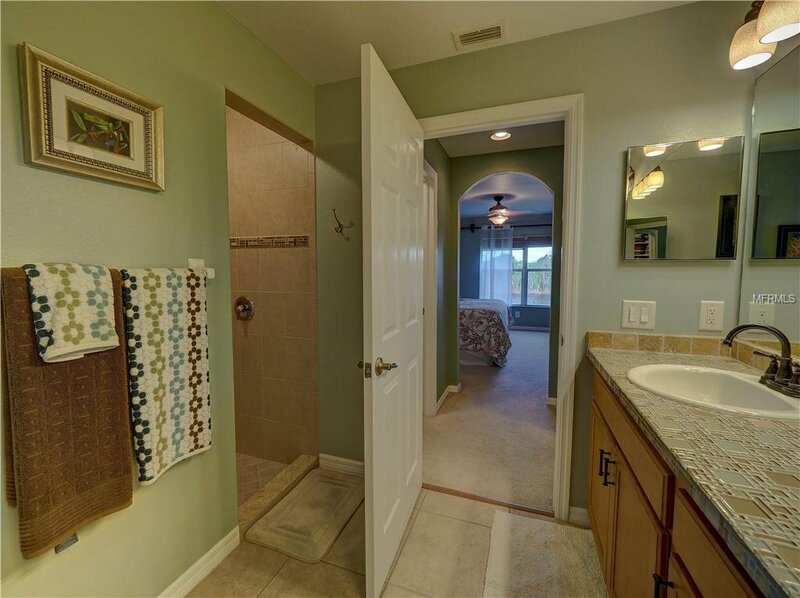 Large master suite encompasses dual walk-in closets and tiled bath with double sinks and Roman tiled shower. 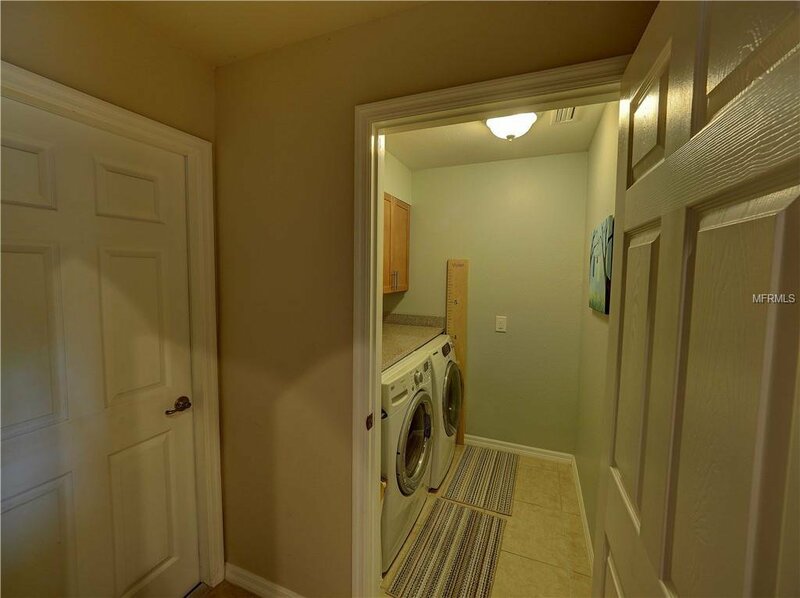 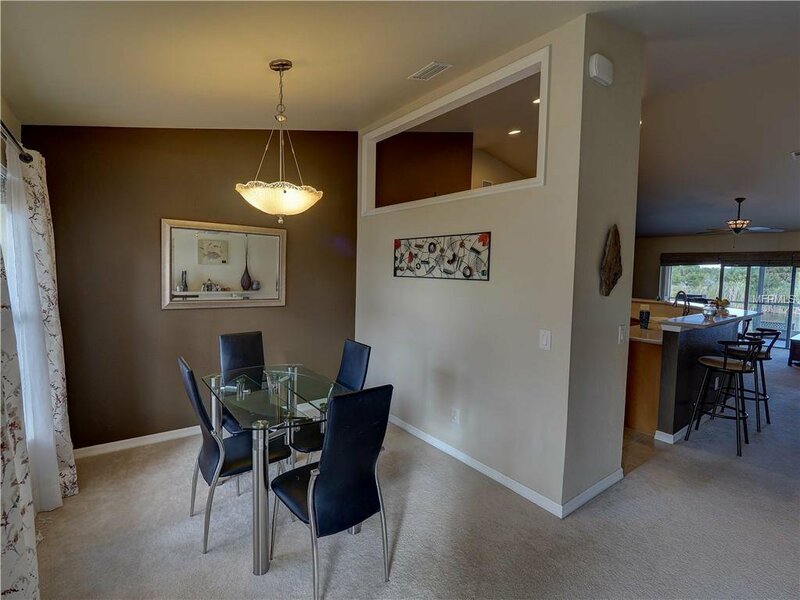 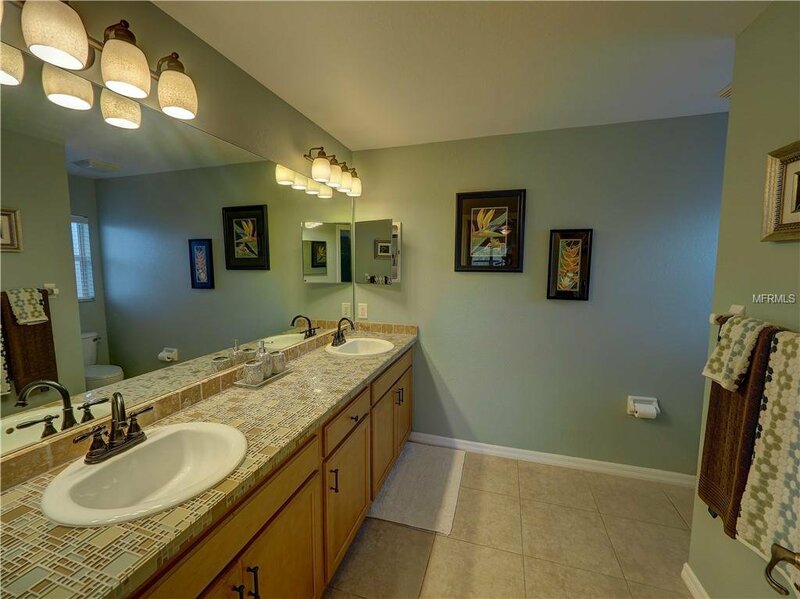 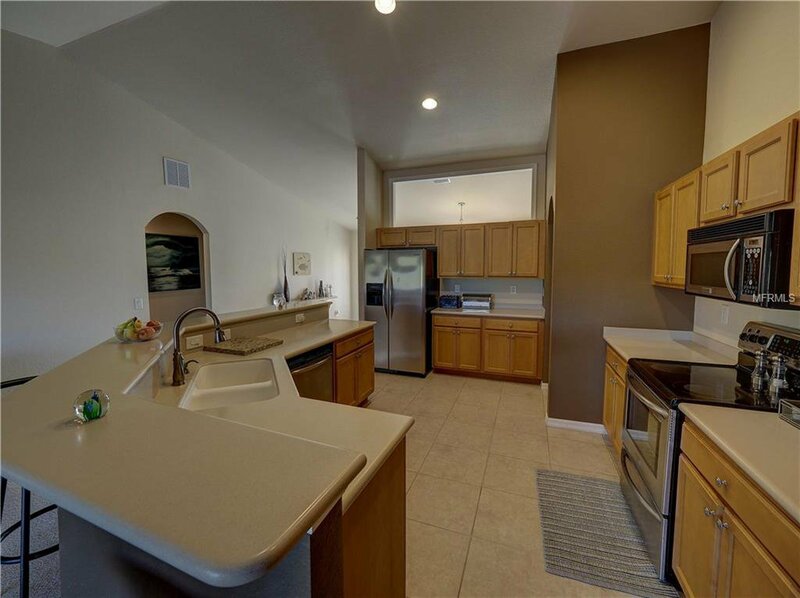 Kitchen boasts stainless steel appliances, wood cabinets, solid surface counters and breakfast bar. 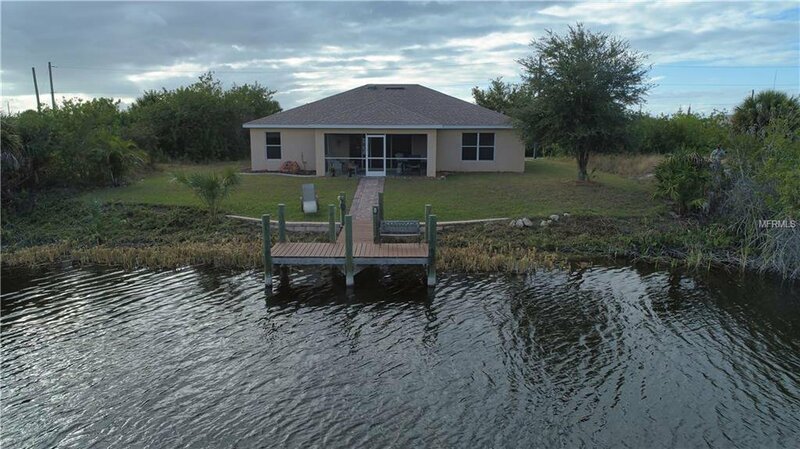 Exterior features hurricane shutters, curbing, gutters and pavered parking spot for your RV or boat. 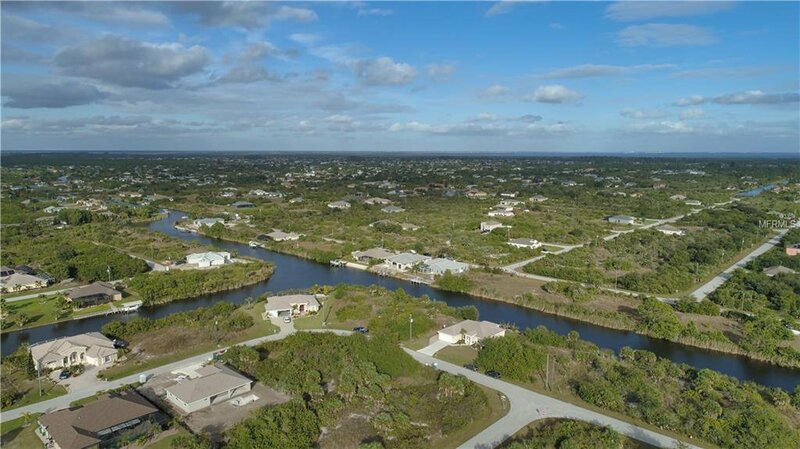 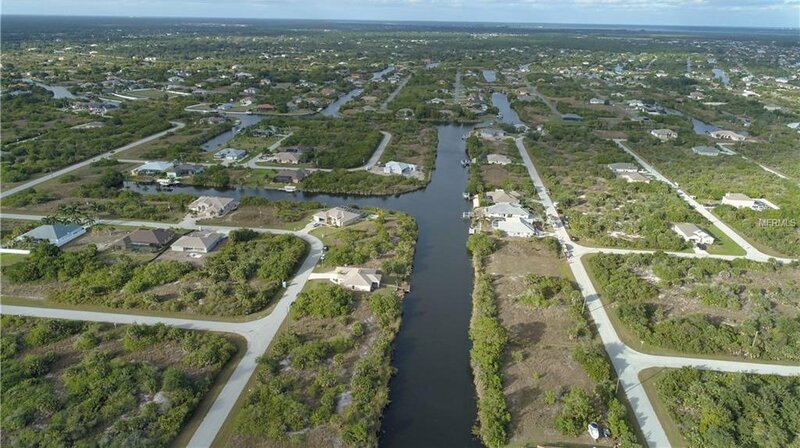 Enjoy cruising the 55 miles of canals that are intertwined throughout the community and will lead you to the Myakka River and onward to the Gulf. 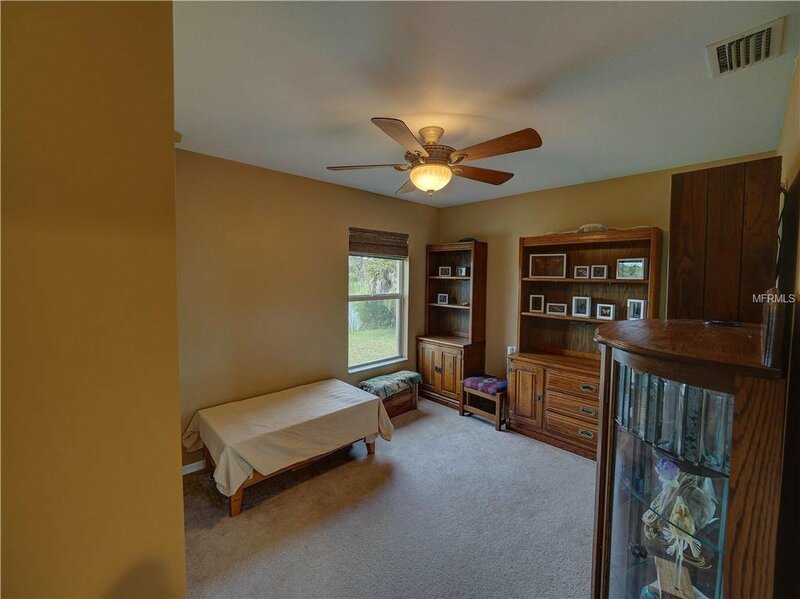 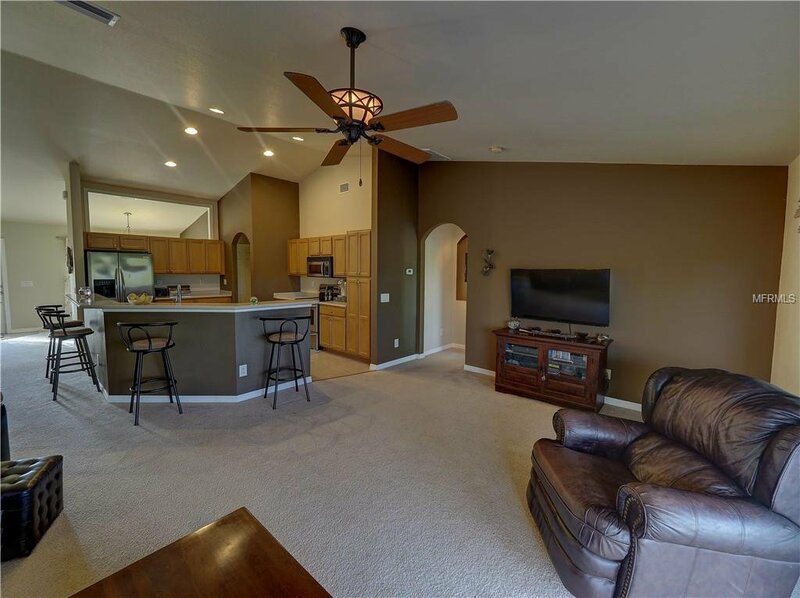 If you desire a home with a large great room and offering comfort and functionality, don't let this one pass you by. 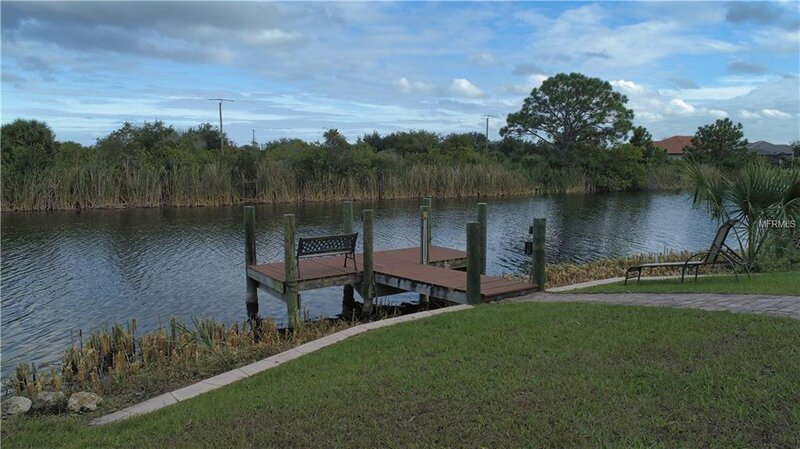 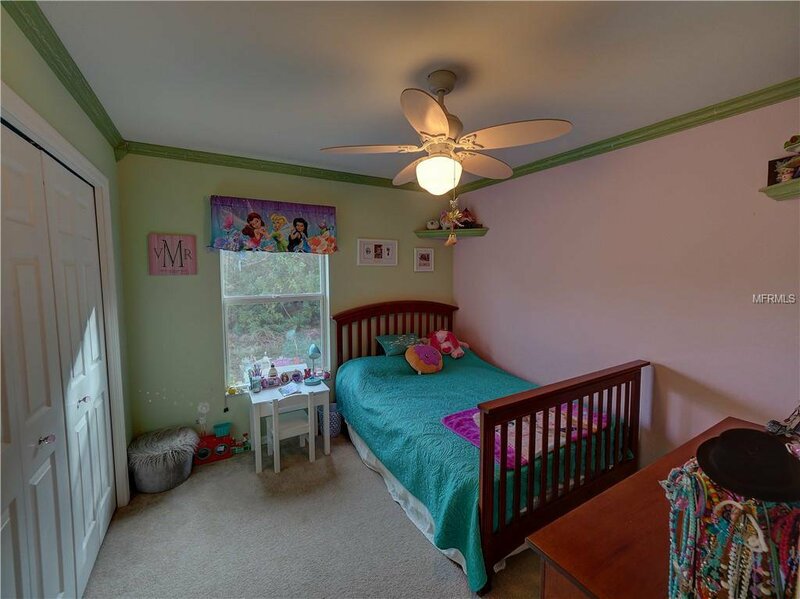 This is an ideal opportunity for any family desiring to live on the water.